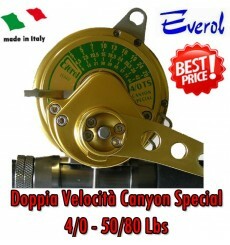 Gear ratio: 6.2:1 (4.8:1 optional)Line capacity: 490 yards / Spectra 0,28Max drag power: 40 lbsWeight: 20 ozBall Bearing: 6 double shielded stainless steel ball bearings and 1 anti-reverse bearing.Right and left hand version available. 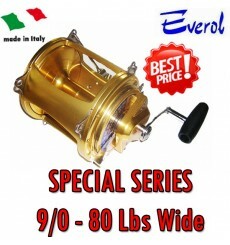 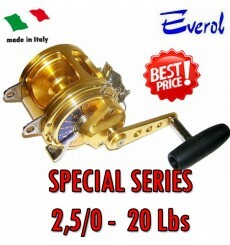 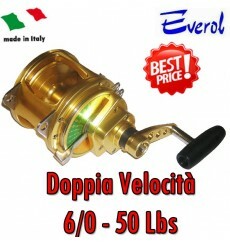 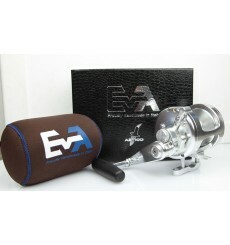 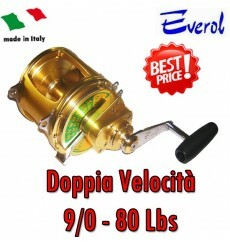 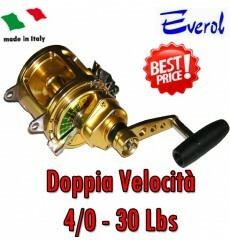 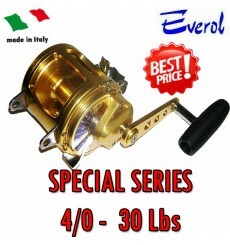 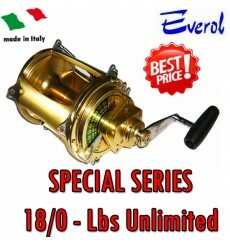 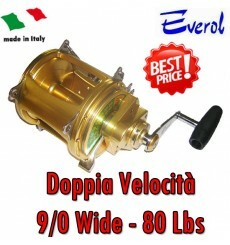 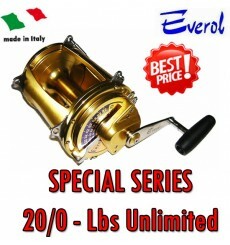 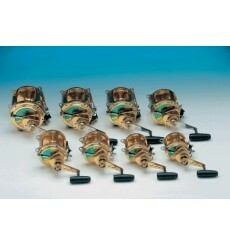 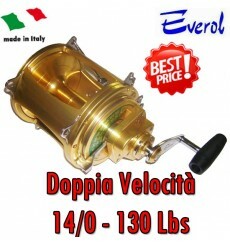 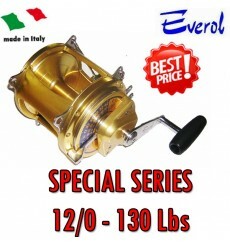 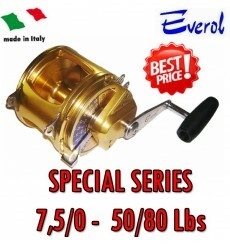 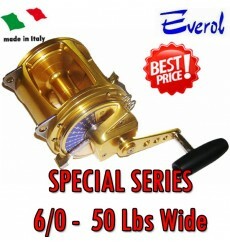 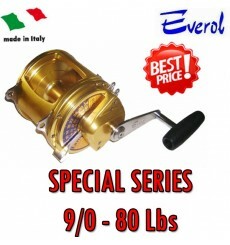 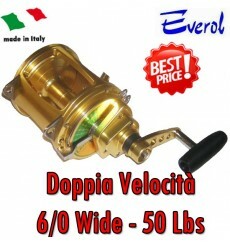 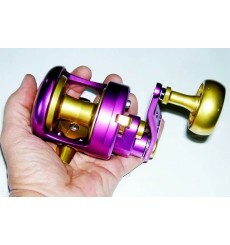 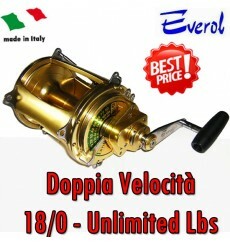 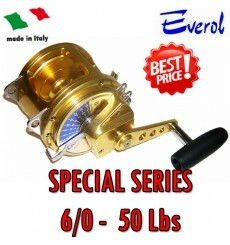 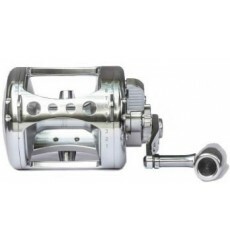 Gear ratio: 6.2:1 (4.8:1 optional)Line capacity: 600 yards / Spectra 0,35Max drag power: 40 lbsWeight: 21 ozBall Bearing: 6 double shielded stainless steel ball bearings and 1 anti-reverse bearing.Right and left hand version available. 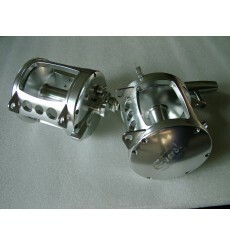 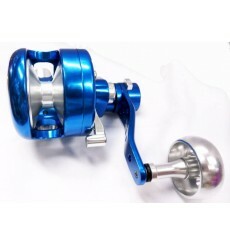 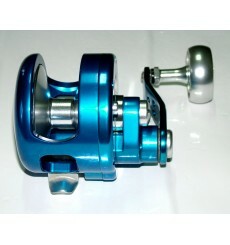 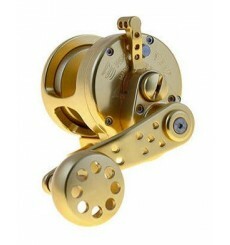 Gear ratio: 6.2:1 (4.8:1 optional)Line capacity: 350 yards / Spectra 0,28 PE$Max drag power: 38 lbsWeight: 0,54 grBall Bearing: 6 double shielded stainless steel ball bearings and 1 anti-reverse bearing.Right and left hand version available.